Collects X-Treme X-Men (2001-2003) #36-39. Storm takes center stage in this special story taking her on a journey of self-discovery. 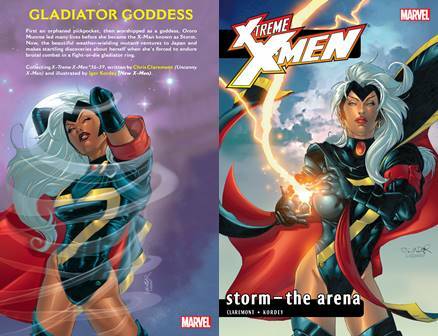 Ororo Munroe, the weather-wielding mutant goddess, ventures into a faraway realm and makes startling discoveries about herself when she's forced to endure brutal combat in a fight-or-die gladiator ring.